On this day in 1569, the first ever recorded lottery takes place in England. On this day in 1879, the Anglo-Zulu War begins. It will rage in South Africa until nearly the end of the 19th century. 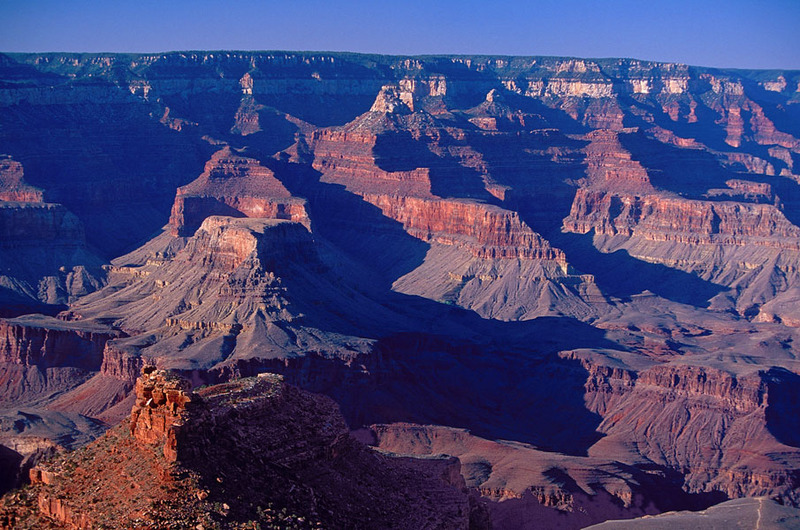 On this day in 1908, after a whole lot of digging, the Grand Canyon National Monument is created. They did a pretty good job, don't you think? On this day in 1919, Romania annexes Transylvania, thus cornering the global market on pitchfork-wielding peasant mobs. On this day in 1922, insulin is first used to successfully treat diabetes, thus further thwarting the natural selection process, thus further polluting the gene pool, thus further weakening the human species. It's called the Law of Unintended Consequences, people! On this day in 1927, MGM head Louis B. Mayer announces the creation of the Academy of Motion Picture Arts and Sciences at a banquet in Los Angeles, California. And thank Cthulhu for them! Without the Academy, how would we all know that The English Patient was a world-class flick? On this day in 1949, snow falls for the first time ever in human memory in Los Angeles, California. On this day in 1960, celebrity serial killer Henry Lee Lucas commits his first known murder. For a while, people thought Lucas might be responsible for up to 3000 deaths. Turns out it may actually be his only two or three, and all of his confessions were made in an attempt to get better living quarters and stronger coffee. He also loved the attention. In any case, the fact stands that Henry Lee Lucas's death penalty is the only one to be commuted to life by Preznit Dubya during his time as Texas Governor. Makes you wonder, don't it? On this day in 1964, US Surgeon General Dr. Luther Terry publishes the landmark report "Smoking and Health: Report of the Advisory Committee to the Surgeon General of the United States" in which he says that smoking may be hazardous to one's health, sparking national and worldwide anti-smoking efforts. On this day in 1972, East Pakistan renames itself Bangladesh. Yep, that's right. There was a time when Pakistan was broken into two distinct pieces separated by a thousand miles or so of Indian territory. On this day in 1992, midget songsmith Paul Simon begins the first leg of a South African concert tour/hunt for more musical ideas to rip off. On this day in 1994, the Irish government ends its 20-year broadcasting ban on the Irish Republican Army. Ratings soar. On this day in 2002, the first twenty captives - most of whom were innocent men kidnapped by Afghan militia for the substantial US bounty money being offered - arrive at Camp X-Ray on the island of Cuba. Some are still there. On this day in 2003, Illinois Governor George Ryan commutes the death sentences of 167 prisoners on Illinois' death row based on the Jon Burge scandal and other fairness issues. It was a wonderful, human gesture... one for which Governor Ryan was forced to pay dearly, becoming the third of four Illinois governors to be found guilty of white collar crime since 1968.